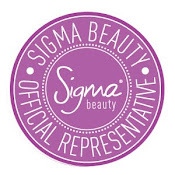 New Sigma Beauty Performance Eyes Kit! I joined Influenster on December 19, 2011 and I finally received my first voxbox!! Community of trendsetters invited to share their lifestyles and show their influence to qualify for personalized product shipments, special rewards and exclusive deals from the brands they love. Members love testing the latest products, giving insightful feedback, and spreading the word on their favorite finds! Registered members "play the game" by unlocking badges that reflect their lifestyle, expertise and power to influence. By earning badges that tell us more about you, Influensters can qualify for VoxBoxes (complimentary packages of products to test & review), rewards (bonus giveaways/discounts) and other special promotions targeted toward our most active and influential members! Influensters are selected for themed shipments based on the types and levels of badges they have unlocked, ensuring members receive products that match their lifestyles and interests. Members with high Influenster rankings are prioritized, so make sure to unlock as many Influence and Activity Badges as you can! Gillette Venus & Olay are coming together to deliver a gold standard in shaving with the new Gillette Venus & Olay razor! Olay Moisture Bars help lock-in moisture to your skin, while Venus' five blades shave you close. *4/12/12- I love this razor!! It makes my legs so soft and smooth! It has five blades, so you get a really close shave! Introducing Kiss Nails Dress, the ultimate nail fashion for tips and toes! Just peel, apply, and shape for a manicure that lasts up to 10 days. Available in 18 different styles! * 4/12/12 I do not like these nail strips. They started to fall off after 3 hours! This sampler features some of Stash Tea's most popular herbal teas. All are naturally caffeine free and made from 100% natural ingredients. Steep for 3-5 minutes at 190-209 degrees, and enjoy. Stash Caffeine Free Herbal Tea Sampler features nine flavors of delectable teas: Acai Berry, Blueberry Superfruit, Chamomile, Cinnamon Apple Chamomile, Lemon Ginger, Licorice Spice, Mango Passionfruit, Peppermint, and Wild Raspberry Hibiscus. *4/12/12- I love the variety in this box. My favorite flavor was the Blueberry Superfruit. I shared some with my family and they like it as well. The decadently rich and creamy 32% cacao milk chocolate in Creamy Devotion™ delivers an epicurean chocolate experience. Experience a moment of timeless pleasure with all natural Ghirardelli Gourmet Milk™ chocolate. *4/12/12- Loved it! This was creamy and it melts in you mouth! Yummy! Truvia natural sweetener is refreshingly uncomplicated, made from the best tasting part of the Stevia plant. Sprinkle this no-calorie sweetener on your grapefruit. Spoon it in your coffee. It won't end up on your conscience or your thighs! * Disclaimer: I signed up to Influenster.com. This VoxBox was sent to me to share and review. I loved the goodies in this box! I really like the tea! Thanks! I haven't tried the nail stickers yet. Nice shop. The Fancy Nancy earrings are cute! !